If passed, Assembly Bill 2092 would make Abandoned Watercraft Abatement Fund money available for the removal of derelict commercial vessels. The fund currently only allow for the removal of recreational boats. AB 2092 clears Transportation Committee but is held up in Appropriations. SACRAMENTO — A state fund exclusively dedicated to helping recreational boaters avoid abandoning their vessels appears to be safe – for now. Assembly Bill 2092 (AB 2092) was placed on the lower house’s suspense file in May, meaning the legislation proposing to make commercial vessels eligible for abandoned vessel clean-up funding is on hold and might not make it to a full vote this year. The bill is not yet dead and there is still a chance AB 2092 finds itself on the governor’s desk in some form or capacity before the end of the legislative session. 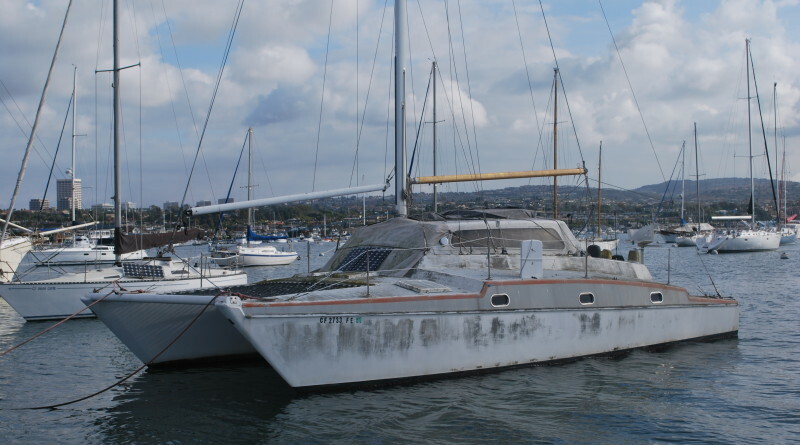 AB 2092 proposes to make Abandoned Watercraft Abatement Fund (AWAF) money available for the removal of abandoned or derelict commercial vessels. The California Sheriffs’ Association sponsored AB 2092 in hopes local law enforcement agencies could receive additional funding to remove abandoned commercial vessels. The state currently assists recreational boaters to dispose of derelict vessels through the AWAF and Voluntary Turn-In Program (VTIP). Jerry Desmond, the director of government relations with the Recreational Boaters of California (RBOC), hopes AB 2092 remains stalled in the legislature. Both RBOC and BoatUS campaigned the State Assembly’s Appropriations Committee in April to balk at AB 2092, claiming the bill, if passed and signed into law, would place a greater strain on recreational boaters and make it even more expensive to abate abandoned vessels. RBOC President Ralph Longfellow, also in a letter to Gonzalez, said abandoned or derelict vessels are more expensive to clean up. Longfellow added commercial vessel owners do not contribute to either AWAF or VTIP. The Assembly’s legislative analysis also cited the RBOC’s opposition to AB 2092, stating the fund supported by recreational boaters could be quickly depleted if used to abate commercial vessels. Private citizens also opposed AB 2092, according to the Assembly’s legislative analysis. The removal of commercial vessels should be the responsibility of its corporate owners, not the state, the legislative analysis said of the private citizen opposition. The California Sheriffs’ Association said, under current rules, AWAF money could eventually be used to remove a commercial vessel if it remains abandoned long enough to be re-classified as marine debris. Removing a commercial vessel as marine debris would be even more costly, not to mention harmful to the environment, the bill’s sponsors contend. “Because only noncommercial abandoned vessels qualify for AWAF grants, and because local jurisdictions typically lack funds for vessel abatement, many commercial vessels are not promptly removed. As a result, over time, the vessels sink and disintegrate,” the legislative analysis of AB 2092 explained. “The sponsor notes that once the vessel is submerged and disintegrated, a local jurisdiction can apply for AWAF revenues, because the vessel is then considered ‘marine debris,’ and a qualifying use of AWAF revenues. “This sponsor contends this situation is ultimately more costly and environmentally damaging, and argues that it makes more sense to remove vessels that present a strike hazard or environmental impacts regardless of their commercial or noncommercial status,” the legislative analysis continued. Assemblyman Jim Frazier initially introduced AB 2092 on Feb. 17. The Assembly’s Transportation Committee approved the bill by a 10-3 vote (with three abstentions) on April 18. AB 2092 was placed on the suspense file on May 4.